Cloud Library allows patrons to download eBooks and eAudios to read on a personal computer or portable eReader. Learn More. This collection of full text articles and journals offers information in nearly every area of academic study including: computer sciences, engineering, physics, chemistry, language and linguistics, arts & literature, medical sciences, ethnic studies, and many more. Access: Click here. Repair information on more than 33,800 domestic and imported vehicles, from 1945 to present. Includes drawings, step-by-step photographs, wiring diagrams, technical service bulletins & recalls, maintenance schedules, and more. Access: Click here. This premier resource provides access to over 1,000 business publications general magazines to trade publications and top management journals as well as over 10,000 company profiles. Access: Click here. The single most comprehensive resource for consumer-oriented health content, CHC is designed to support the information needs of patients, and to foster an overall understanding of health-related topics. CHC provides content covering all areas of health and wellness from mainstream medicine to the many perspectives of complementary, holistic and integrated medicine. Access: Click here. Access to thousands of encyclopedia entries on a variety of topics. Access: Click here. History Reference Center® is the world’s most comprehensive full text history reference database including full text for more than 150 leading history periodicals, and nearly 57,000 historical documents. This resource also offers more than 77,000 biographies of historical figures, more than 37,400 historical photos and maps, and more than 80 hours of historical video. Access: Click here. This streaming movie service provides unlimited access to award-winning shorts, feature films, and documentaries. With thousands of films to choose from across more than 50 countries, InstantFlix offers a viewing experience you can’t get anywhere else. Gain unlimited access to over 7,000 streaming movies and classic TV shows. Set up your InstantFlix account here. *Please note, if you previously had an account with Zinio, you do not need to create a new account because you can login with your account information you created from Zinio. If you have any questions, please contact library staff. The Colorado SWIFT service is a statewide system that allows Ruby Sisson library patrons to search libraries throughout Colorado and make requests to borrow materials not in our collection. The SWIFT service is available for library patrons who have had their library cards for 3 months or longer. The SWIFT service differs from the interlibrary collection sharing available through AspenCat, the library’s union catalog (30 library members statewide). Interlibrary requests placed through AspenCat are independent of the SWIFT service. There is a limit of 3 SWIFT interlibrary loan request at one time per patron. Interlibrary requests typically take about 1 week. Fines of $.50 per day are charged for overdue interlibrary loan materials. The due date and renew rules are set by the lending library. To use the SWIFT service, patrons can fill out a request form (in person or over the phone) or select the link above and search through Colorado SWIFT yourself. 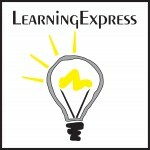 Learning Express Library is a comprehensive, interactive online learning platform of practice tests and tutorial course series designed to help patrons—students and adult learners—succeed on the academic or licensing tests they must pass. You’ll get immediate scoring, complete answer explanations, and an individualized analysis of your results. Learn more. This database offers the everyday user the necessary tools and detailed “how-to” instructions to independently address a wide-range of legal issues. Users can search over 12,800 state-specific legal forms–searchable by all 50 U.S. states and by top subject areas, including Adoption, Bankruptcy, Name Changes and more. Access: Click here. LISTA covers librarianship, classification, cataloging, bibliometrics, online information retrieval, information management and more. Access: Click here. Specifically designed to provide high school students with full text access to periodicals, reference books, primary source documents, biographies, and more. Access: Click here. MasterFILE™ Premier contains nearly 1,750 periodicals covering general reference, business, health, education, general science, multicultural issues and much more. Also find nearly 500 full text reference books and biographies. Also use this resource to access Consumer Reports online for free. Access: Click here. Middle school students can access biographies, historical essays, encyclopedias, and popular, middle school magazines. Access: Click here. Create your family tree and discover your family history. Access: Click here. Selected full text from national and regional US newspapers including the Denver Post, Greeley Tribune and Pueblo Chieftain, and transcripts from TV and radio news. Access: Click here. This is a fiction database that provides subject heading access, reviews, annotations, and much more for over 135,000 fiction titles. It also includes other content of interest to fiction readers, such as Author Read-alikes, What We’re Reading, Book Discussion Guides, BookTalks, and Annotated Book Lists. For school media specialists and teachers there are Picture Book Extenders and articles on Teaching with Fiction. Click here for instructions. Access: Click here. Specifically designed for younger readers, find read-alike recommendations, reading lists and more! Access: Click here. This excellent resource helps students research multiple sides of current issues including affirmative action, cloning, DNA profiling, HIV/AIDS status disclosure, immigration, Iraq, and much more. Access: Click here. Access to articles and information from popular, elementary school magazines, encyclopedias, and dictionaries. Access:Click here. This premier resource contains full text for more than 560 journals concerning topics in emotional and behavioral characteristics, psychiatry & psychology, mental processes, anthropology, and observational and experimental methods.Access: Click here. This premier resource provides access to 50 regional business publications. Access: Click here. Designed to meet every student’s science research needs, Science Reference Center contains full text for hundreds of science encyclopedias, reference books, periodicals and other sources. Topics covered include biology, chemistry, earth & space science, environmental science, health & medicine, history of science, life science, physics, and more. Access: Click here. Small Engine Repair Reference Center is your online tool for small engine repair assistance, including: ATVs, commercial mowers, farm tractors, generators, motorcycles, marine (boats), outdoor power equipment, PWC (personal watercraft/jet ski), snow blowers, snowmobiles, tillers and other small engines. Library card required to use from home Access: Click here. This current events database allows researchers to explore social, political & economic issues, scientific discoveries and other popular topics discussed in today’s classrooms including controversial opinions and viewpoints. Access: Click here. Packed full of pronunciation, speech, grammar, writing, and vocabulary building lessons, Transparent Language Online provides libraries and their patrons with a complete, language-learning solution. Accessible from your computer or smartphone/tablet. Instructions for the online database are here. Access: Click here. TumbleBookLibrary is children’s ebooks, and includes unique animated, talking picture books, read-along chapter books, National Geographic videos, non-fiction books, playlists, as well as books in Spanish and French. Access: Click here. Universal Class is an online educational service providing a diverse offering of intellectually stimulating courses for people interested in the lifelong pursuit of knowledge for either personal or professional reasons. Lifelong learning not only enhances social inclusion, active citizenship and personal development, but also competitiveness and employability. Access: Click here.